Why Are Our Whey Protein Recommendations Better? Well first off let me first start off by saying that this was a response I wrote in a blog about people who were talking about whether or not to purchase a whey protein isolate or a whey protein concentrate. The author of the blog Mike Roussell wrote a post that was not bad by any means and a lot of stuff he said was really spot on, but when you are recommending any product especially in the health market you want to make sure you are an expert. However, he did recommend ProGrade whey protein which there is no way I would endorse. I wouldn’t take it and I wouldn’t recommend it either. So here was my response since most of the people on that thread were giving their unqualified 2 cents, which drives me crazy. “Hey guys Matt here an avid health nutritionist and whey protein specialist. I like the article and wanted to clear up a few things. First off, over 90% of whey proteins out there are essentially “dead proteins.” The reason is because they are so highly processed that the essential enzymes are killed off with the high heat. These enzymes will not withstand temperatures past 118 degrees of heat which is why you want to first look for an undenatured whey protein, which means it is cold processed at lower temperatures. Things you won’t find in Optimum Gold, Myotein and many of the other cleverly marketed wheys. 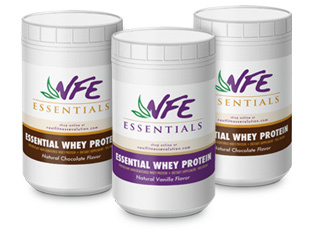 Secondly, you want to find a grass fed whey protein. If you don’t you are basically putting in dairy that comes from cows that are fed an unnatural diet of grains, 80% of which are GMO’s or genetically modified corn. Those are also sprayed with pesticides and toxins to keep bugs away which also makes its way into the dairy, the whey protein, and eventually in your body as well. Grain fed cows are also then fattened up and milked 4-6 times a day instead of once which infects the utters and creates a lot of puss. This is called Mitosis and yes that also get into your whey as well. Sounds gross right? This is why they have to pasteurize it at higher temperatures to get rid of the unhealthy bacteria, however they kill the good bacteria as well. Grass fed cows graze on pesticide free pastures which creates a raw milk which contains over 110 active healthy bacterial colonies, and also what is notorious for making it the healthiest protein on the planet. This is the type of whey you want to find however, 90% of the whey’s out there are not that. Unfortunately, GetPrograde isn’t from grass fed cows…I know this because I have emailed them back and forth. Also its an isolate. When it comes to isolates and concentrates, I always tell people when it doubt stay more organic and natural. Because isolates are processed further you are extracting those enzymes and other essential nutrients out of the whey that make it so well rounded nutritionally that it was deemed a superfood by the food and health administration. Concentrates are a far better selection. However, if you do have a lactose intolerance issue, though most of the times that won’t be effected by the low amount of lactose <5%, then I’d stick to an isolate to be on the safe side. Lastly, when it comes to your health don’t skimp on price. Would you rather eat a steak from a sizzler or get one from a 5-star steakhouse. Sure the price is more but it is because it is far better quality, better prepared, and going to have a lasting effect on you. Also the reason why many whey proteins are so cheap is because they manufacture the heck out of it making it that dead protein, which is essentially useless for your body. Knowing this and still buying a cheap whey protein is basically like burning money because it’s not doing anything for you nutritionally. This is why some whey proteins are superior but also have a heftier price. But when it comes down to it, I tell people it really comes down to a few cents a day since most contain 30 servings. It’s not like its a one and done product. However, the few cents you pay for are far outweighed by the health benefits. Trust me. Now with that being said it definitely explains in further detail about why I recommend the proteins we do. While most people talk about calories per scoop this is irrelevant when it comes to weight gain. 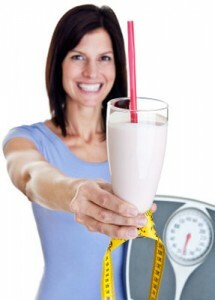 Good calories don’t add weight onto your body they are immediately utilized as energy. Bad calories are what you need to worry about which comes from refined sugars and carbs. But if I were to break this down it would be pretty scientific and I would be talking about insulin secretion, insulin resistance and that is when it gets a little too advanced. These books are incredible but just know a lot of my recommendations for whey protein are because I do research and exhaustive research at that. I go to health conferences and get to know the farmers I shop and even the presidents of the company that we get our whey protein concentrate from. I fully trust them and in my HONEST opinion there is no other protein better out there than Gary Rock’s and Ross Titza’s from Next Fitness Evolution. Both of these guys have gotten their certification in Personal Training and are some of the most intelligent and up to date nutritionists I know. Additionally you should know this is also naturally sweentened with Stevia and contains no artificial flavors or sweetners like Aspartame. Take care guys and if you have any questions leave them below and don’t forget to share or like this page.